It is important to rotate your vegetable plants. If the same type of plant or closely related species are planted in the same location year after year the soil can be depleted and disease organisms can build up. With a vegetable garden layout like mine, it is difficult to remember what vegetable I planted in a certain area last year, let alone the year before that. Keeping a notebook would be a good method of recording where you planted, but that really didn't work well for me. I misplace notebooks, and writing with muddy hands is a problem. 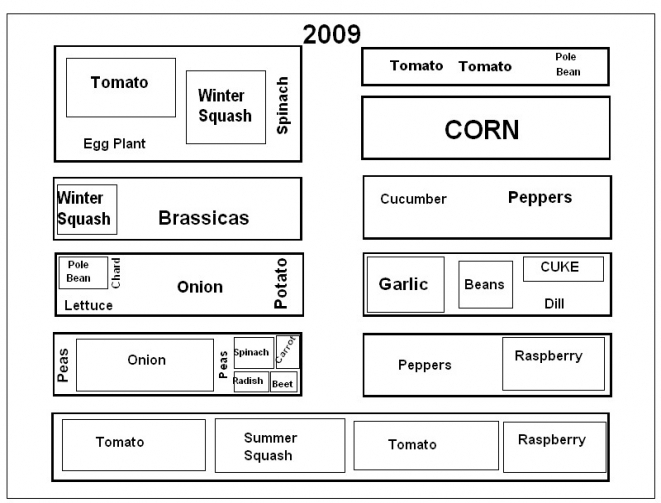 I started keeping a vegetable map in a spread sheet program, and that worked pretty well. A couple of years ago I switched over to a mechanical CAD program because it was a bit easier to move stuff around. I try not to plant a vegetable from related species in the same spot more than once every 3 years. Because I am heavy on tomatoes and peppers that does always work and I sometimes have to make compromises. When I need to do that I leave at least a year between related species. 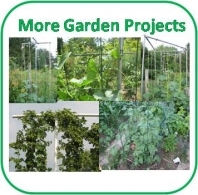 Late winter or early spring when it is too early to work in the garden is a good time to start planning the for the upcoming season. 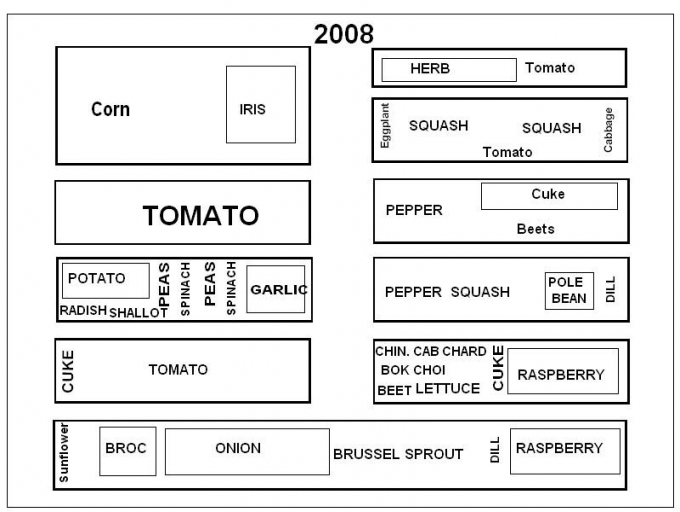 When planing time arrives I can print out a copy to take to the vegetable garden and don't have to worry about it getting wet or dirty. I can print out another for the next planting session.